Retired Lieutenant General Michael Flynn. WASHINGTON - Neither a request for immunity from prosecution or a grant of immunity constitutes an admission of guilt. It does not mean the individual seeking immunity has committed a crime, only that he or she fears prosecution on the basis of their words, which absent immunity, they would not utter, instead invoking their Fifth Amendment privilege against self-incrimination. 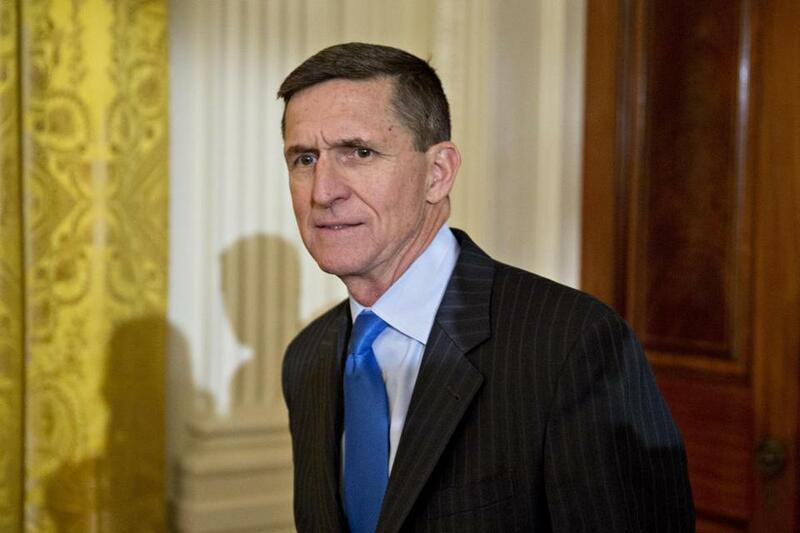 But Flynn saw immunity differently in September, 2016, when reports surfaced that aides around Hillary Clinton had been granted immunity by the government in exchange for talking freely to the FBI about Clinton’s private email server. ‘‘When you are given immunity, that means you probably committed a crime,’’ Flynn, then a top campaign aide to Donald Trump, said on Meet the Press. That same month then-Trump communications adviser Jason Miller said much the same thing. ‘‘Revelations’’ that Clinton aides ‘‘were granted immunity from prosecution in Hillary Clinton’s email scandal shows this was without a doubt a criminal scheme,’’ he said. Two congressional committees are now looking into whether any associates of President Trump may have coordinated with agents of the Russian government seeking to meddle in last year’s presidential election. The FBI is also investigating. The Trump administration has denied any such coordination. Immunity for congressional testimony, which comes in a variety of forms with a variety of limitations and requires approval by a judge, has proven to be filled with complications. ‘‘Use immunity,’’ for example, does not prevent a prosecutor from indicting a witness; it only stops prosecution using the testimony provided to the particular congressional committee. The most famous example of a botched prosecution involving an immunity agreement was the case of Oliver North, the Reagan administration National Security Council staffer charged with crimes in connection with the 198os Iran-contra scandal. An appeals court ultimately overturned North’s felony convictions, ruling in 1990 that while the special prosecutor in the case had not used North’s immunized testimony, witnesses in the case might have had their testimony ‘‘tainted’’ by exposure to the highly publicized and televised North congressional testimony.